You’ve got the great ideas, you put the hours in and your business starts to grow just as you hoped. Or indeed you may already have an established and profitable business, you’ve attracted some fab employees and now you want to create them a working environment where they can grow and flourish. And there’s no shame in saying it, maybe you want your clients and potential recruits to see just how good your business really is. Whether starting from scratch, moving premises or having a revamp of your current space, there’s no stronger message you can send of your business’s success than through its smiling employees, proudly inhabiting their working environment. At Sturman & Co., we believe this applies to every single business – who hasn’t got off the phone from a grumpy “computer-says-no” advisor with a mental image of that person sitting in rows and rows of faceless people, in a grey, windowless room somewhere in Nowhereville. And so you see how a depressing workspace leads directly a depressing customer experience. So apart from getting in touch with us (our commercial design consultancy fees start at £1,000 plus VAT and we’d love to hear from you), here are a few things to think about when your designing your workplace with employees in mind. Whatever your business, you want your employees to enjoy their work so that they are super productive. At Sturman & Co. we feel this means they need different spaces within a business to enable them to work in the best possible manner (and we’re clever about creating these spaces in the most surprising ways). 3. Creative space – sometimes more important than others, but don’t discount it! 4. 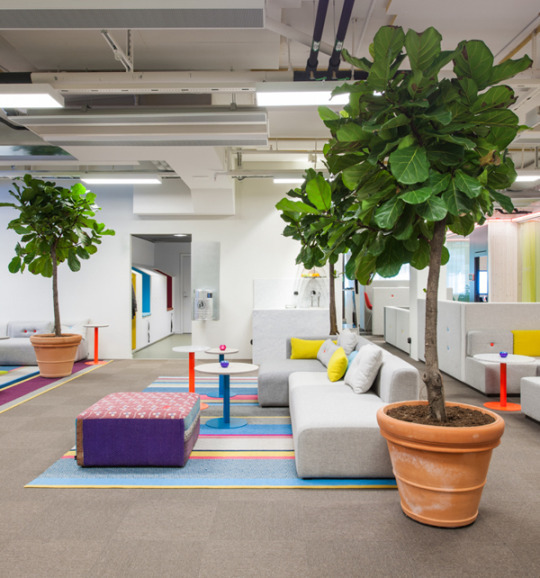 Space for reflection, space for collaboration and spaces to play – these may be social spaces or just meeting rooms. We can even help you make a meeting room do it all. These spaces apply especially to an office environment, but surprisingly to other businesses too. We can help you to think around your space and design it properly. Remember – there’s no such thing as no design, just good design or bad design! Where has the brown gone?